As the official platinum bullion of the United States, the Platinum Eagles are a beautiful and valuable addition to any portfolio and collection. For collectors, First Day of Issue Coins is the most desired for numismatic collections because of the certification and the grade these coins carry. 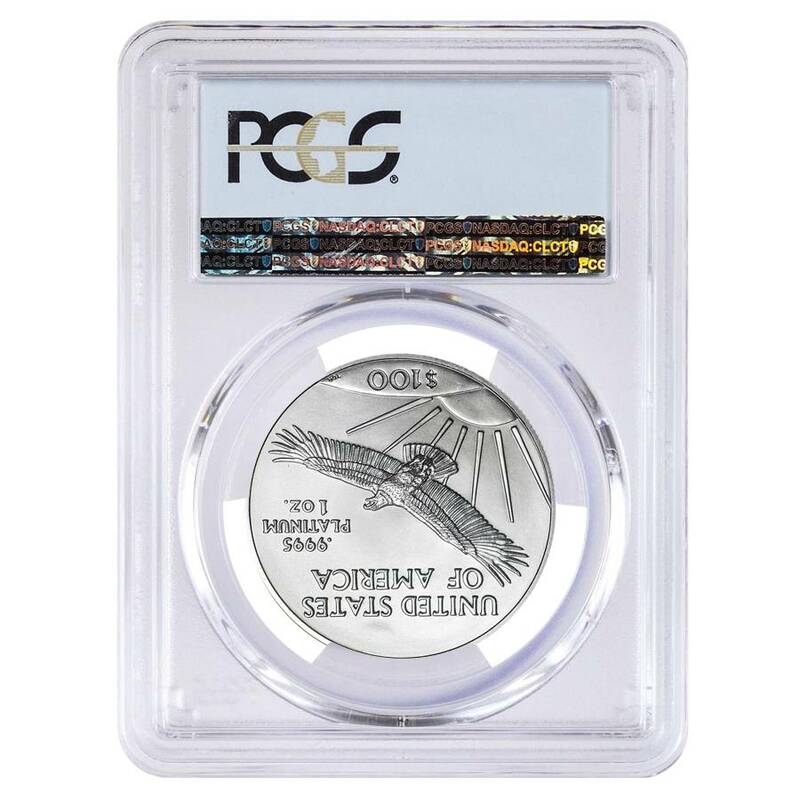 This 2018 Platinum American Eagle is fully backed by the U.S. government and is legal American tender and is recognized around the world for its platinum purity, visual appeal, and its American symbolism. This exquisite coin has been authenticated as flawless, having earned the MS 70 grade from the highly respected grading services of the Professional Coin Grading Services (PCGS). Because they were graded within the first day of its release, they have additionally earned the First Day of Issue designation. Made from .9995 platinum with a weight of 1 oz. Produced by the U.S. Mint. PCGS MS 70 - A perfectly struck coin. A face value of $100. 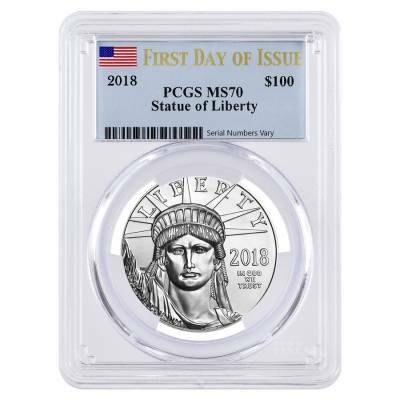 Obverse: Features Lady Liberty looking out, with “LIBERTY” inscribed above her, with additional inscriptions of the year, “IN GOD WE TRUST, and “E PLURIBUS UNUM”. Reverse: Displays the heraldic American eagle soaring in front of a sunrise with "United States of America" inscribed above. The weight, purity and $100 face value are also shown. Got my 2017 FDOI and I'm grabbing this once it comes in stock form you guys. Thanks so much! With this purchase, you earn 1101 Bullionaire Bucks 1101 BB = $1.10. For every $1 spend, you will earn 1 Bullionaire Buck which is equivalent to $0.001 off a future purchase. 1101 BB = $1.10.